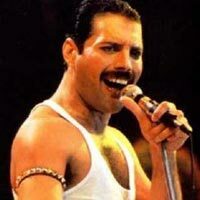 21 years after his death Freddie Mercury continues to be voted one of the greatest singers in the history of pop music. As a performer he was known for his flamboyant stage persona and powerful four octave range vocals. He wrote Bohemian Rhapsody – the favourite number 1 song over the past 60 years. Freddie Mercury refused to explain his creation other than saying it was about relationships and to this day, the band is still protective of the song’s secrets. We wondered, could we uncover the meaning behind the song by knowing Freddie Mercury’s SolePath?